Dirk Brauner by default delivers his high-end microphones together with Vovox sound conductor cables. The difference is unbelievable! And traceable at once for everybody. More flattering highs, more exact bass response and a better spatial imaging in the midrange - just to name a few points. 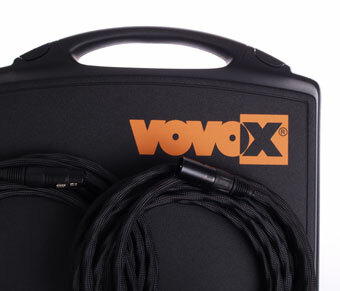 At TestYourMic.com you can experience the difference between a standard cable and a Vovox sound conductor by yourself - and decide individually, if it is worth the money for you. We suggest the investment by all means - and give you retail on the price of Vovox, if you by a microphone at the same time - just drop us a mail on this!